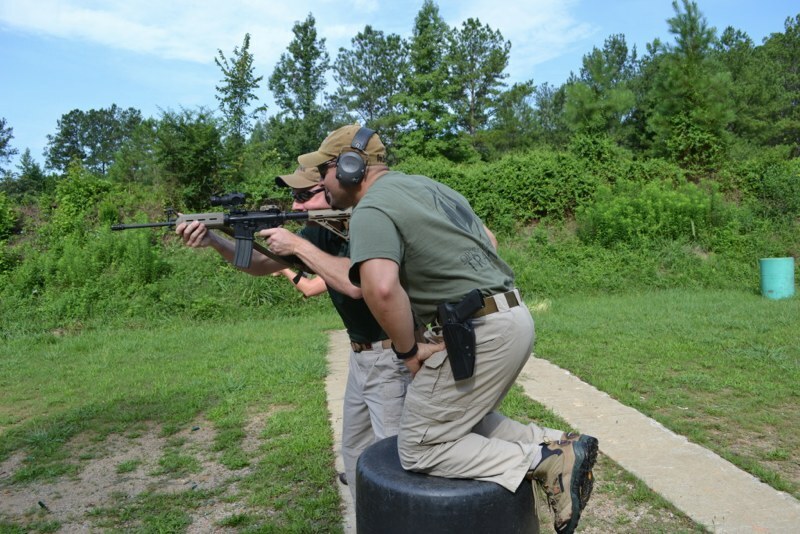 The one-day Advanced Carbine Marksmanship course is for a shooter who wants to become faster and more accurate for defensive or competitive shooting. This course places a heavy emphasis on process oriented technical marksmanship to solve various marksmanship challenges. The goal of this course is to take the shooter through a series of logically organized problems, and equip the shooter with the ability to solve them. This has been described as a very mentally challenging course that pays a dividend in overall technical skills. Understanding process oriented versus results oriented marksmanship. First, review the general overview of What to Bring to a Carbine Class. At least 10 dummy rounds. The course fee for Advanced Carbine Marksmanship is $225, plus applicable range fees. Contact us for information on group rates.